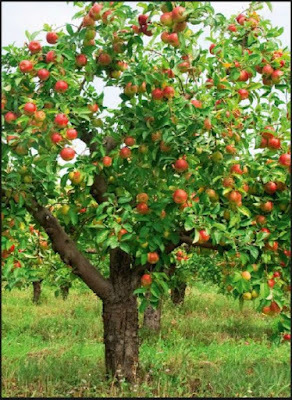 The apple tree (species Malus domestica) and belonging to the rose family) is one of the most widely grown domesticated trees. 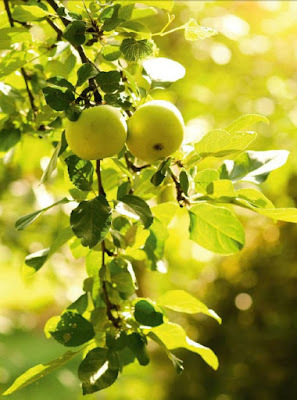 It believed to have originated in western Asia but there are now more that 7500 cultivars of this deciduous tree grown around the world and more than 69 million tones of apples are produced every year. Organic apples are definitely the best option when it comes to your health. The waxes applied to commercially grown apples may not have been proven to be harmful but they can certainly hold onto pesticides and chemicals that you don’t want to be eating. For a long time now apples have been regarded as being a health promotions food. In an article in the American Medicine journal of 1927 it was said that apples are “therapeutically effective in all conditions of acidosis, gout, jaundice, rheumatism, all liver and gallbladder troubles, and nervous and skin disease cause by sluggish liver, hyperacidity, and states of auto-intoxication”. Whether apples will indeed help if you intoxicate yourself remains a moot point, however, there is ample evidence that apples are very good for you. They contain vitamin C, quercetin and antioxidant, polyphenols, and the skin provides fiber in the form of pectin. In recent times there have been many studies supporting the health promoting effects of this luscious fruit. Over recent years you might have seen advice to eat a “rainbow” colored diet. This is based on the fact that the chemicals giving plants their red, purple, and yellow colors have been found to be health promoting. These polyphenol pigments are antioxidants and are richly supplied in things like berries, beetroot, squash and carrots. While these pigmented fruit and veggies are health-packed, according to a new study, white-fleshed fruit such as apples have some powerful mojo in their own. The researchers the matched risk of stroke against consumption of the various “colour” grouping. They found that stroke risk was not impacted by consumption of red/purple or orange/yellow fruits. However, a high intake of white flesh fruit led to a 52 percent reduction in stroke risk when compared to low white fruit intake. There was a nine percent reduction for every 25 gram and so an apple a day would take around 50 percent off you stroke risk. The reason of this is that white flesh fruits like apples and pears are both rich in the antioxidant quercetin and are good sources of fibre like pectin which can lower blood fats. We know that apples are a source of pectin, which is as type of fibre that can have beneficial effects on blood fats. Apples also contain polyphenols that exert antioxidant effect, improve fat metabolism, and reduce inflammation. You would expect then that apples might do good things for your cholesterol levels and studies suggest this is indeed the case. For the study, researches recruited non-smoking healthy adults who had a history of not eating apples more than twice month. The adults were aged between 40 and 60 and did not have a history of taking plant-based supplements. In one study published in the Journal of Functional Foods the subjects were then divided into three group. One group ate either a Red or Golden Delicious apple each day for four weeks, another froup took a pill with 194mg of antioxidant polyphenols daily, and the third group took a placebo. In the four week of the study, an apple a day was found to reduce oxidized LDL levels by 40 percent. This was significantly more than the effect of the polyphenol pill and according to researches makes apples better at decreasing oxidation of LDL, than other potent antioxidant food like tomatoes, green tea, and the spice curcumin It also seems from these results that it is more than the antioxidant content of apples that having the effect. So it is probably the entirety of the apple, polyphenols fiber and all, that conveys the healing effects. Other studies have shown that as well as balancing blood fats, apples have a bonus effect besides. A study published in the journal of the Federation of American Societies for Experimental Biology focused on women aged between 45 and 65. These women were put into two groups – one group was given 75g of dried apples daily for a year and the other group received 75g daily of dried prunes. Blood samples were taken at three, six, and 12 months. The results showed that the women who received apples had a 23 percent reduction in bad LDL cholesterol after six months. They also had a four percent increase in goo HDL cholesterol. Additionally, levels of a protein called “c-reactive protein” dropped, C-reactive protein is used as a marker for inflammations and so this indicates levels of inflammation in the body were overall reduced. Despite adding about 1000 kilojoules to their daily energy consumption via the apples, the women eating apples lost an average 1.5kg during the 12 month of the study. This could have been cause by the pectin from the apples making the women feel full, but another recent study has suggested an alternative way in which apples might help keep the weight off. 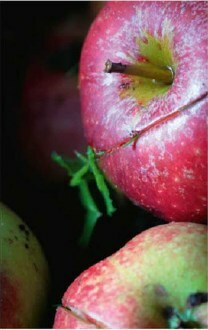 A new study published in PLOS ONE has suggested than a ingredient from apple peel can protect against obesity. The study involved feeding two groups of mice on the same high-fat diet for three weeks. The only difference was that one group was fed ursolic acid from apple peel in their food as well. By the en of the study they found that the mice fed ursolic acid actually ate more food but gained less weight, and their blood sugar stayed at near normal levels even though their physical activity was no greater than the mice in the other group. There was also no sign of fatty liver disease in the ursolic acid group. This means that ursolic acid not only helps prevent weight-gain, it also protects against the effects of weight-gain like diabetes and liver damage. Further examination showed the ursolic acid mice had more skeletal muscle leading to increased strength and endurance. The ursolic acid fed mice also had more brown fat than the other mice. Brown fat in humans is found in the neck and between the shoulder blades and studies have linked it to reduced levels of obesity and better levels of blood fats and sugars. Exactly how ursolic acid increases brown fat levels remains unknown and whether it will prove to happen in humans as well as in mice remains to be confirmed. In the meantime though, eating your apples with the skin on to increase your ursolic acid intake appears to be an "ap-peeling” option. In recent years, many other fruits have been heavily studied and have leapt ahead of the apple being dubbed "superfoods”. While perhaps not as trendy as some berries, the power of the apple persists. And if antioxidant, cholesterol-lowering, weight- reducing actions are not enough to keep it highly desired, it appears that apples reduce inflammation as well. In the new study mice with colitis (inflammation of the bowel) were treated either with a placebo or a daily dose of polyphenols derived from apples. The results dearly showed that mice treated with apple were protected against colitis. The researchers also found mice given apple in their diet had less activated T-cells in their colon. In mice lacking T-cells. there was no protective effect from apple. This tells us that apple exerts its protective effect through suppressing these T-cells. which are inflammatory parts of the immune system. This is the first study (from the Journal of Leukocyte Biology) to show that polyphenols, from any source, can relieve autoimmune disease such as colitis via T-cells. It suggests that apple, along with apple-derived polyphenols, might be a viable future treatment for people with bowel inflammation such as ulcerative colitis or even Crohn's Disease and colitis- associated colorectal cancer. It has also been shown that an apple a day improves your digestion by Feeding healthy bacteria. To test this, a study published in BMC Microbiology Fed rats a diet rich in whole apples or apple juice and compared the results to rats on a control diet. Genetic tests were used to establish what bacteria were present in the digestive system of the rats. The rats eating the apples had higher numbers of the bacteria that promote intestinal health. These bacteria produce short-chain fatty acids that in turn provide ideal pH conditions For other healthy bacteria. These bacteria also produce a chemical called but rate, which is an important Fuel For the cells of the intestine. It all comes down to the pectin in apples and it all means a daily apple is healthy For your digestion. So your organic apples will not only be Fun to grow but they will be a health bonanza For you, your Family and your friends. When to plank: Apple trees are usually available for planting in winter either at nurseries or through mail order. Climate: Apples grow in most climates. While they do perform better in cooler 7ones. there are low-chill varieties for warmer areas. Select the best variety for your region. Aspect/placement: Likes a sunny, but sheltered position. Specific needs: Likes free-draining soil that has been prepared with compost and well-rotted manure. Add plenty of manure in spring and autumn. Use pea straw mulch to retain moisture but keep it well away from the trunk Keep the growing area weed-free and water regularly, especially during fruiting. Prune to shape and to promote fruiting. Dwarf apples are a good option for limited space, and grow well in pots. Check whether your apple needs another to help with pollination. Companion planting: Nasturtium and chives. Harvesting: Varieties fruit from January to June. 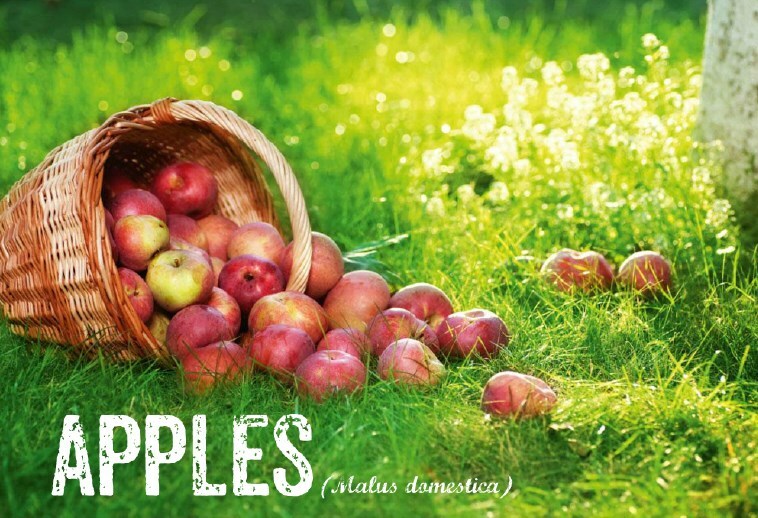 Apples have started to ripen when some fruit falls to the ground, otherwise just pick one and sample for taste. Remove any fallen apples and put them in the bin to stop the spread of disease.